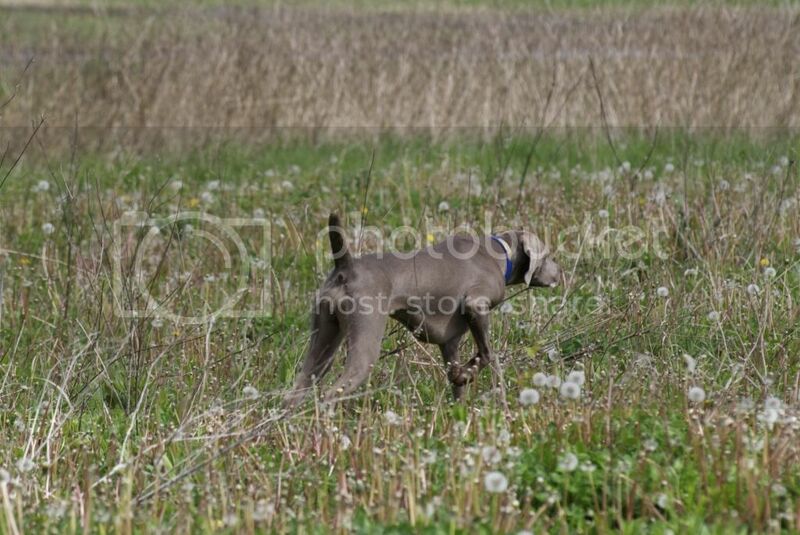 Great to see another Weim owner, welcome to the forum. Good choice with Cam, she has some awesome dogs . LincolnAlexander wrote: For dogs over 8 months old you need a Valid rabies vaccination certificate from a licensed vet. The Ontario Grand River chapter is also holding its test that weekend as well . Which is closer to the US border around Niagara Falls? Toronto's test would be closer for you I think. For dogs over 8 months old you need a Valid rabies vaccination certificate from a licensed vet. The Ontario Grand River chapter is also holding its test that weekend as well . I did not say anything about "my dog is better than you dog", I simply said I see value in knowing scores and how many times a dog had to run to complete its title. I understand it is a pass or fail system based on a standard, but I disagree that the scores are irrelevant as they can definitely provide insight into a dogs ability and performance. The search function on events for AKC is nice, but as with Tooling I can only find a summary of passes for Hunt Tests, it does not provide me with number of times entered, or anything related to scores... is there something additional you need to get this information, or is it in a different location? Hattrick, I believe you are thinking of Southpaw Weims, which is who I suggested reaching out to in my PM . They have another great litter coming up that was just confirmed. ezzy333 wrote: [ Very true but he might be pushing his luck with a Wiem as there are way too many that do not have the hunting desire or tools they should have. 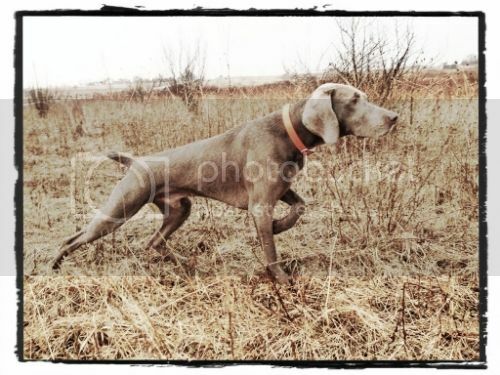 Is your friend after a Weim to use for hunting, or is it simply a family companion? 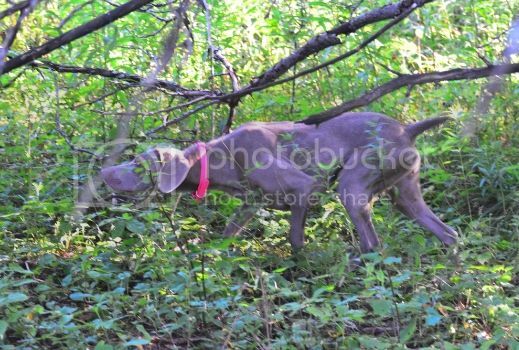 If he wants to ensure he gets a good hunting Weim, I can provide the names of a number of breeders who emphasize hunting ability in their breeding . Hi Josh, congrats on the new Weim pup! Assuming you want a trainer for hunting/field related training? Are you looking for a trainer who would take your dog and work with it, or someone who will work with you and the pup? If you want to evaluate natural retrieve, run them in an navdha na test. There is no retrieving necessary in the NAVHDA NA test. Even the water portion of the test only requires them to swim twice, not actually retrieve the bumper . Southern Ontario is definitely not very good bird wise, but we go Grouse hunting and Woodcock hunting within 30 minutes or so of where we live (London), and there are a couple small-ish Pheasant release programs within an hour of us, so our dogs see quite a few birds each year. Topic: Email for Backwoods Kennel? Re: Email for Backwoods Kennel? The email that jczv posted is the one we use to reach him. Topic: Any down sides to neutering a bird dog? Re: Any down sides to neutering a bird dog? Congrats, she sounds like a heck of a fun dog to watch! Topic: How long are your hunts? Re: How long are your hunts? We (wife and I) are in Southern Ontario and our hunts range from about 2 - 6 hours; 4 hours is a typical length, hunting either Pheasent, Grouse or Woodcock. Interesting, thank you for posting! Silly NSTRA question... do the judges ride or walk? I know a Braque Francais from a kennel named Chambois located in Montreal, Quebec, Canada. Had a few chances to do some training with them, and she was a nice little spitfyre of a dog who obtained a Prize 1 in her NA test in our area. One of the top skijorers from Canada uses a Weimaraner from a Hunting Weim Breeder (not sure if she hunts or not though.) I have thought of trying it out in the winter to help keep the dogs in shape. Topic: I hate the name game.......but what do you do for "Q"
Re: I hate the name game.......but what do you do for "Q"
My dog's grandsire's name is Quell. Could work for a female too I think. I am not, Lincoln is actually my Weims name, and I made a joke a long while back that his middle name was Alexander and it stuck; never even thought about how it might look like Ginny's name, lol. My real first name is J.R. (or Jon-Ross):).